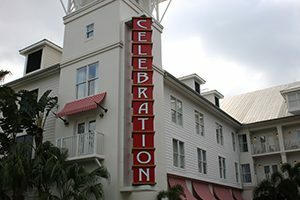 Celebration is a well planned community originally devised and developed by The Walt Disney Company, at the cost of an estimated $2.5billion, with development commencing only recently in 1996. It has an organised, architecturally agreeable town centre with a popular main street, hosting a number of restaurants and other varied facilities. It attracts substantial visitors to its established events such as classic car shows, Art shows and its annual Winter Main Street Christmas event, as well as to its planned appeal. Whilst small enough to be a town it is home to Stetson University. Commuting, Celebration is further away from Orlando being 46-50 minutes travelling time by car. However many people still commute and the Interstate 4 is very accessible. If you work for one of the world famous theme parks or simply wish to visit, then Walt Disney World is only 15 minutes drive, between 20-25 minutes commute to Universal. So whether work or play all are within acceptable reach. However many people enjoy Celebration for its designed and convenient town centre feel which is varied enough to create a community feel and walk able from most parts of Celebration. It is based in Osceola County which offers is own host of places to go within easy reach. There are several golf courses, Osceola National Forest, named after the Native American Seminole Warrior Osceola, as well as many other tourist inspired venues and natural lakeside settings. Property values in Celebration are on the rise with the median price in 2017 January being $363,300 rising 3.9% over the previous year according to Zillow. Currently Celebration zip code is 34747 but with the continuous increase in population driven by its popularity this may change in the future. 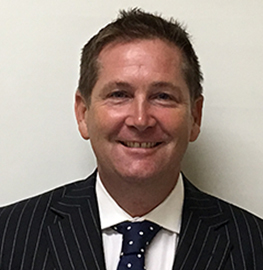 There are many superb homes in Celebration so if you need a local market expert do not hesitate to call or email Paul@Walker.Realtor and I will be delighted to help.